Hey, New Kid! 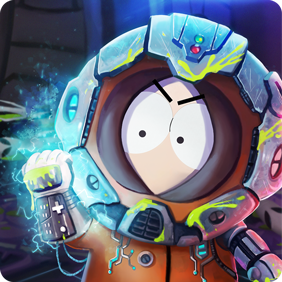 Friendly Fights have come to South Park: Phone Destroyer! Now players can take on their friends by initiating a Friendly Fight with team members. If you’ve been burning to challenge your team leader, a co-worker, or a classmate, now you only need to join the same team, and do battle! In Friendly Fights, card levels are set according to card rarity. Players won’t receive rewards for Friendly Fights, but the new feature will allow you to test out new strategies with similarly powerful cards and sharpen your skills without the worry of losing rank. Friendly Fights have come to South Park: Phone Destroyer! Challenge your friends, New Kid! Download South Park: Phone Destroyer now and you can challenge your teammates to a Friendly Fight! Friendly Fights are one in a long list of features that now make Teams more awesome than ever, and expand them beyond a place to chat about Phone Destroyer. Also recently added are Team Events, where players can earn more and better rewards for hitting new event milestones with their Team. Now it’s more important than ever to curate a strong team, and new features coming soon will allow players to unleash the power of their team like never before! Take on your friends, and send videos of your best plays to us on Facebook or Twitter, and you could earn some awesome prizes!